According to an analysis of strategies of leading brands and forward-thinking marketers by Lisa Gevelber, Vice President of Americas Marketing, U.S. Hispanic demographic trends indicate a 163% increase in population between 2010 and 2050, making up 30% of the population by July 1, 2050, and one trillion dollars in buying power in 2010, rising to $1.5 trillion next year (an increase of 50% in just five years). Marla Skiko, senior vice president and director of digital innovation at SMG Multicultural, says "… marketers may think they trail… general market in adoption of new tech… (though) they are far ahead… should be among the first prospects for marketers… to grow their consumer base…"
A survey of a panel of senior-level marketers, says the report, saw 11–25% of their company’s growth coming from this demographic in the next three to five years, but most brands didn’t have a marketing strategy for this audience. The analysis found that, in looking at the strategies of leading brands and forward-thinking marketers, "U.S. Hispanics are ahead of the curve when it comes to digital. They lead in adoption of new devices. They are power users of mobile and over-index in video consumption." Fabian Castro, senior vice president, multicultural marketing for Universal Pictures, notes that they promote “close to” to 80% of its releases annually to the U.S. Hispanic audience. The average Hispanic spends more than eight hours watching online video each month, over 90 minutes longer than the U.S. average, according to Nielsen. According to Think With Google, YouTube views of top U.S. Hispanic channels are up 1.25x year over year. In the two years since the launch of the bilingual multi-channel network MiTu, the network has grown an audience of more than 36 million subscribers, one-third the number of subscribers to HBO, a forty year old network. Brands are tapping into this growth through endorsements and sponsorships. A lot of Hispanic video watching happens on mobile, says the report, as smartphones are becoming the "first screen." Nielsen reports that 10 million Hispanics watch mobile video for an average of more than six hours per month. Among smartphone owners, Hispanics are 17% more likely than non-Hispanics to access the web more through their phone than through a computer, and more likely to upgrade or replace their mobile headsets and buy tablets. According to a Google Consumer Survey, Hispanics are 1.5x more likely to buy mobile apps and digital media than non-Hispanics. Too often, marketers think they’re reaching U.S. Hispanics by simply translating ads and websites into Spanish, suggests the report, but there is a big opportunity to reach these consumers in both languages. A recent Google Consumer Survey showed that the majority of U.S. Hispanic mobile users typically search in English or a mix of English and Spanish. At the same time, the number of Google searches that include common Spanish-language question words nearly doubled over the past three years. Language isn’t enough, though, notes the analysis. To speak to this audience one needs to be culturally relevant as well. As Castro puts it, "Culture is the new language.” The U.S. Hispanic audience will only gain cultural and economic prominence in the coming years. This isn’t just sheer numbers; it’s technology, concludes the analysis and report. For additional information from Think with Google, please visit here. Our findings, like other studies on Hispanic Millennials, are captivating marketers to focus on this key demographic today. The present focus of most companies is on how to better market to Hispanic Millennials to get them to buy their products and services. 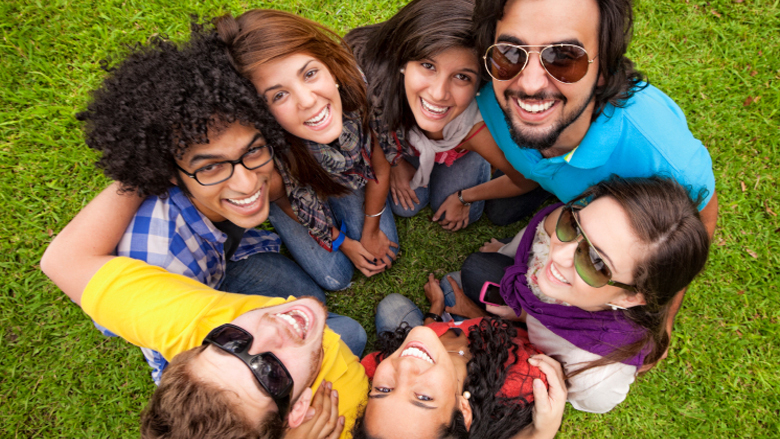 However, after having pored through the detailed data underpinning the project, I realized there is more to this research than some supporting data points on the how to better market to Hispanic Millennials today. Hidden in the data is a fascinating glimpse into a future marketplace where organizations have to fundamentally change their approach to the Hispanic market. I introduced the concept of “futurecasting” the Hispanic market in 2011. Futurecasting is a heuristic technique that helps envision future consumers, products, industries, competitors, challenges, or marketplaces; by combining forecasting and imagination to model future states. 47% of Hispanic Millennials perceive owning their own business as a strong indicator of success; 48% view it as a future goal. Marketing – Marketing to Hispanics has been the dominant focus of Hispanic efforts by organizations in the U.S. the last 50 years. However, there is an opportunity to centralize these efforts. One way is by leading with Hispanic insights – something I’ve described in my posts around Total Market Approach and the emergent opportunity for cross-cultural marketing. Procurement – Many large Fortune 500s have developed sophisticated supplier diversity efforts over the last 10-15 years to increase the number of minority-owned – particularly – Hispanic-owned businesses they do business with. But the futurecasting exercise shows us the central role Hispanic entrepreneurs will have in driving new business growth. For companies looking to continue innovating, they will need innovative, young business partners and suppliers – many which will be Hispanic-owned. This necessitates raising the bar on supplier diversity efforts. Hispanic Products – This is the keystone of Hispanic integration. Some CPGs and movie studios have experimented with this strategy. 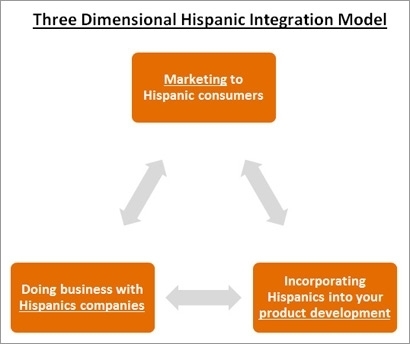 The idea is two-fold – create products and services that connect with Hispanics at a cultural level and involve Hispanics in the creation of new products and services. The studios have been starting to do this by cultivating Hispanic talent in front of and behind the camera. CPGs have tested out new products incorporating Hispanic flavors and heritage. However, companies will have to go well beyond one-off experiments and make this a central part of their corporate strategies, to leverage the large, attractive population of future Hispanic brand advocates. HSN’s innovative Univision partnership to reach Hispanic consumers via a mix of content and commerce across channels recently came out of beta, with mobile driving 60 percent of the awareness for the effort. The home shopping network decided to double down on the Hispanic market after realizing several important areas of cross-over with its offerings. Recent findings from a PwC report suggest that mobile will play a bigger role for marketers in targeting the Hispanic market, with these consumers more likely to access coupons, bank, make a payment, watch videos, use location-based apps and text more than non-Hispanics. “The Hispanic strategy as a focus has really been in the last year,” said Sean Bunner, vice president of new business development at HSN, St. Petersburg, FL. “HSN has traditionally not targeted a particular demographic or even local regions. Late in 2013, HSN and Univision launched in beta Boutique Univision, una tienda de HSN as a fully-integrated experience promoting HSN products and supported with a comprehensive marketing campaign across HSN and Univision television, digital and social media channels. Now that the responsive Web experience has come out of beta, the commerce element is fully supported by HSN. Here, Mr. Bunner discusses why Hispanics are an important demographic for the brand going forward and how it is tailoring the HSN experience to meet the needs of these consumers. Besides the growth in the Hispanic market, what other factors encouraged HSN to make this demographic a strategic focus? HSN really focuses on women and an upscale woman who is a shopper. Her lifestyle and home are important to her. As we looked a little deeper into the Hispanic market, there are more than 11 million Hispanic women in the U.S. that are over 35 and that group is growing four times faster than the U.S. population. As we look to get the message of the HSN brand out, it is a very important group for us to reach. A lot of the categories or the software side that HSN accelerates on , products for your home, electronics, mobile, fashion, entertainment, community, things that if you pull any marketing study related to Hispanics, you are going to find those words and use cases, those are all things that are a part of our business. We saw a lot of parallels in our business, we saw a lot of parallels in our strategy. To kick that off and the public facing side of the strategy is our partnership with Univision and that site, Boutique Univision, which we launched and are growing with Univision. What role and how big a role is mobile playing the Univision partnership? It is a centerpiece and more so in the future. I don’t know that all retailers are seeing this, but HSN with the type of customer that we have that is very engaged, we obviously sell a lot of electronics and have a big part in educating our consumers in how to use them. Mobile is a very vast part of our business. It is now over 50 percent of our entire business. It is becoming the majority of all of our digital traffic. We were already focused on mobile. This customer, a lot of times it is the primary device that they see their world through. So it is a nice marriage. We didn’t have to change our strategy, we just kind of had to direct our strategy in cooperation with Univision. How are you making consumers aware of the program? One of the components of our deal is that we get guaranteed placement across Univision’s digital properties in shows like Despierta America. On the digital side, it is twice the weighting that you would normally see in a campaign to mobile versus desktop. There mobile ads appearing on Univision mobile properties directing them to the boutique. We are seeing more than 60 percent of the awareness for the experience coming from mobile within Univision’s network. That is significantly higher than a typical campaign. That is an early learning. We want to evolve through how conversions look across channels. Increasingly in the future, the actual commerce store itself is going to have more and more of a specific place in mobile. We have the exclusive right to power their ecommerce store. The site has a combination of things that are specific to their network. Right now, we have a World Cup promotion with Coca-Cola that we wouldn’t necessarily run on HSN. And then we have the best curated everyday assortment of products that we think are right for that audience. The site is also part of their Web site but it is fully powered by HSN. The transaction itself happens on HSN. Increasingly in the future we will probably take that transaction to Univision, but right now you come to HSN and then check out through normal HSN methods. Were there any challenges in bringing this experience to the mobile user? There are always challenges and that space is evolving. Responsive design is something that we have been doing for some time. That enables us to have it not be a science project every time that we want to figure how do we make the experiences relevant and work the right way for the consumer. Responsive design is where we are at now. In the future, we will look at is there a custom experience that is right for that consumer on Univision that is mobile specific. You know how difficult content management is on your own properties but doing that with another large media company – so we worked through a lot of that process. The site we launched is now fully powered by HSN. We have the ability to update content in real time. That is evolving along with our merchandise strategy throughout the summer. How is the site catering to the needs of the Hispanic consumer? Experience is perhaps the most challenging part of this. Univision knows how to do their experience that is relevant for their customer, we know how to do ours. So that has really been a lot of the learnings for the first six months, is marrying those two. We know that we have to look and feel a little bit different to be relevant in the future. It is nice to learn that from a company like Univision. We are looking at when should be doing something like site translation, when should we have other Hispanic specific options at each stage, we will learn that through our partner. An early example was our exclusive launch of the Sofia Vergara fragrance. We took some exclusive access to that community. There are some products that we sell – national brands, beauty products – that are perfect for that audience. There are other areas where we are going to have holes and whites spaces. So learning that now and heading into the back half of this year, we are really trying to bring on the right partners and bring brands that will be relevant to that audience. How do you expect the strategy to evolve going forward? The learnings that we are going to get during ht rest of this year on usage patterns, I am particularly interested in. There are two ways to cut it: the device itself – pc vs. tablet vs. phone - and then the application itself - is it an app or a mobile site. We see on our site differences that are sometimes dramatic in the categories and the percentage of sales for electronics vs. fashion, for instance. We see pretty significant differences between the HSN app and the HSN mobile optimized sites. I want to see, do I see those same kinds of learnings on the Univision side. And then really how do we adjust heading into 2015 to be more relevant and more targeted. AdvertisementThat’s a drastic change from 1990, when these groups combined to account for 11.6% of the population. Between 1990 and this year, the share of Americans of Hispanic origin has doubled from 8.8% to 17.7%, while for non-Hispanic Asian and Pacific Islanders, their population shares are up from 2.8% to 5.1%. The following article written by a Hispanic mom raising kids here in the US shares a perspective that is shared by a large segment of the US Hispanic population. The tremendous Buying power of Hispanics is growing exponentially including a current per capita income closing in on the national average makes it important to finds ways to effectively penetrate this market now and into the future.